Oslo dismissed the notion that the deployment goes against the old commitment, saying that American troops would be rotated rather than stationed permanently. NATO routinely applies the same reasoning to all its deployments in Eastern Europe as a way of circumventing the alliance’s agreement with Russia, which bans permanent deployments of “significant” forces near Russia. They all lie so easily and think they are so clever, looking us straight in the eye and smiling. They misuse language and try to confuse, while assuring us of their friendship and utmost respect. If a country or alliance is permanently present in a country, regardless of personnel changes, that country or alliance is permanently deployed there. 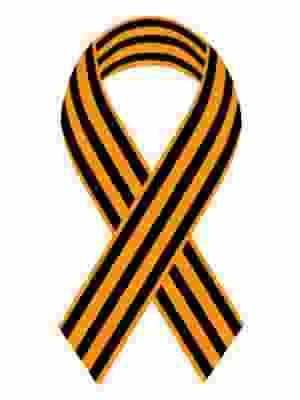 NATO and Norway have violated their agreements with Russia. A total of 8,000 NATO soldiers have been deployed to the Finnmark region of northern Norway, 160-300 km from the Russian border, for a series of joint military exercises. The Joint Viking 2017 exercises, which involve British, American and Norwegian troops, kicked off Monday and are expected to last until March 15. According to the Norwegian Armed Forces website, the exercises’ primary goals are to practice crisis management and the defense of Norway. A total of 8,000 troops are taking part, including 700 soldiers from the US Marine Corps, US Army and the British Royal Marines, which have been integrated into Norwegian units. The British and American troops took part in preparatory exercises to acclimatize them to the harsh Norwegian weather. #TrainingTuesday: #StrongEurope Soldiers are in Norway conducting Winter Warfare Training in preparation for #JointViking. For the duration of the exercise, drones have been banned from local airspace. “The Armed Forces will have a lot of activity in the air, with fighter jets, helicopters and transport aircraft. To ensure safety in the air, we therefore introduced a drone ban,” military spokesman Ivar Moen told the Norwegian public radio station NRK. In previous years, Joint Viking exercises have been held in Hordaland in 2013, Tromso in 2014, Finnmark in 2015 and Trøndelag in 2016. The previous exercise in Finnmark was seen as a provocation in Russia, where in response a large-scale exercise was launched in the Kola Peninsula. This year, however, Moscow was notified of the planned maneuvers in advance, Moen told NRK. 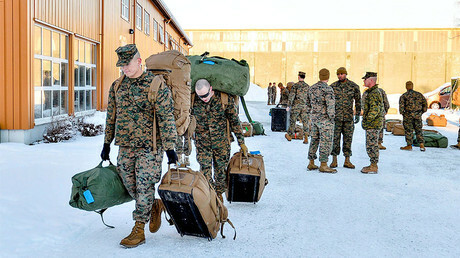 In January, 300 US Marines from Camp Lejeune, North Carolina, were deployed to Norway. Both Norway and the US denied the notion that the deployment was meant to irk Russia as part of NATO’s wider campaign to oppose what it calls “Russian aggression” in Europe, by sending additional troops and weapons closer to the Russian border. A founding member of NATO, Norway pledged not to host foreign forces to allay Moscow’s concerns that it could serve as a platform for a surprise attack. For decades, the Scandinavian country only allowed in other allies’ troops for training purposes.